Posted on 4th October 2017 at 09:07. 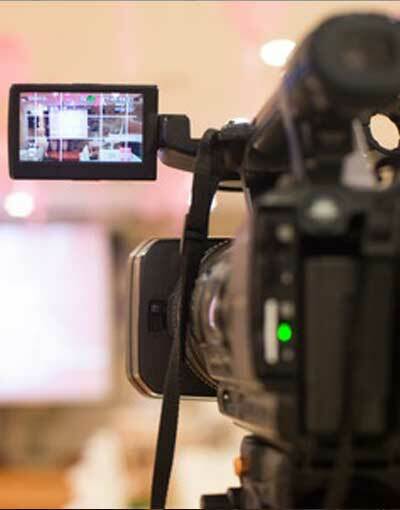 Video marketing has been repeatedly shown in studies to be one of the most powerful methods of connecting with potential customers. This highly interactive, emotive medium lends itself perfectly to communicating messages in a lasting and productive way. Yet still so many business don’t incorporate video marketing online – usually due to lack of resources, creativity and time. In this blog we explain how with a few simple prompts you can begin to use video marketing as a viable promotional tool – whether you enlist professional support or start off with a smartphone. One of the best ways to accurately demonstrate how a product works (and therefore communicate its benefits/quality/superiority) is via video. Sometimes, video is the only way – as pictures alone can’t explain how something works and why consumers should buy into it. If you have a particularly innovative or interesting product, use that as an entry point into video marketing. Consider how it can be presented in an easy and engaging format that explains what it’s used for, why, and most importantly shares why viewers need it. Company values are important – with younger consumers in particular becoming more concerned about the ethics and ethos of the brands they engage with. Video stirs emotion, so once again it is one of the only ways businesses can truly communicate their values and visions in an immersive manner – through listening to client and staff testimony, exploring your world, associating certain sounds, colours and editing techniques with a set of values, viewers can really get a feel for what you’re all about. This involves potential customers getting to know you intimately, and understanding the personal passions that drive your company. Viral videos are the ‘holy grail’ of internet promotion for most online marketers. But coming up with something shareable isn’t always an easy task. Start by asking yourself what your target audience tends to engage with. Assess their likes and dislikes, and hone in on previously popular clips that have been interacted with by your demographic. Then work to see how your brand, product or service could be weaved into something funny, shocking or informational. If you’re overwhelmed by the prospect of setting up a shoot and editing a ten-minute movie, a good place to start is with short mini-clips designed for social media sharing. These ideas and concepts can then be expanded into bigger, better and more detailed presentations. Usually shorter clips can also be achieved successfully with lower-level equipment – like smartphones, digital cameras, standard editing software or apps and portable tripods. Need professional support with online marketing material? Speak to us today to learn more about our distinctive, holistic approach to SEO, social media and more.